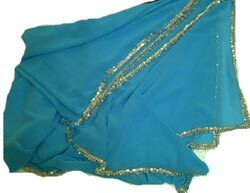 Oriental belly dance circle skirt & veil set - made from chiffon crepe deluxe beaded sequin From Egypt. 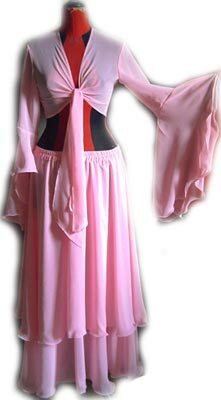 elastic stretch waist with( 3 open slits )all are trimmed decorated . available in all colors , Please after your purchase email us with your required color and specify silver or gold decor. available in all colors , Please after your purchase email us with your required color. 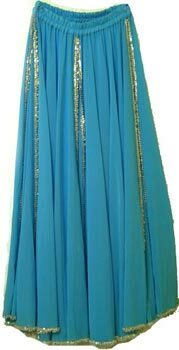 Velvet skirt with 8 gores of chiffon fabric Sequins lining each gore, and go around "Could be done with lycra fabric instead of velvet " just email us after your purchase with your order details "velvet or lycra fabric , color, chiffon color and skirt length".